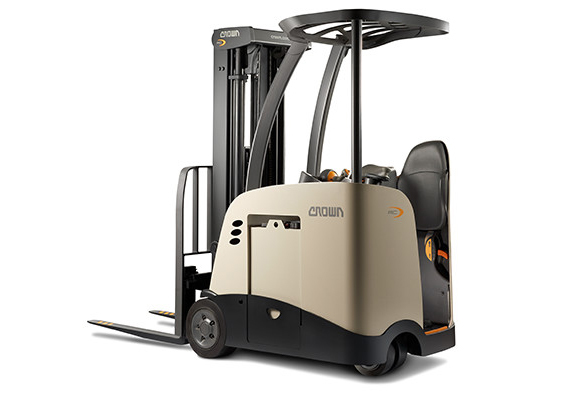 For high density warehouse applications, electric narrow aisle forklifts are the best choice. 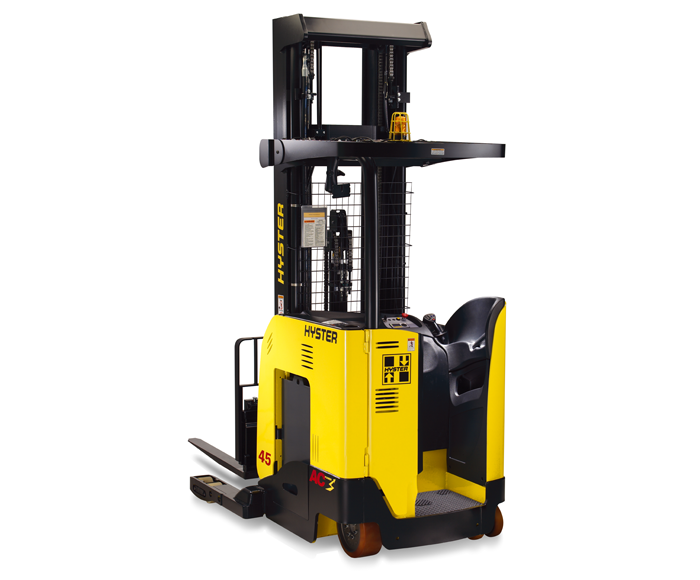 The ability to work in an eight to nine foot wide aisle while storing palletized material is the benefit of this type of forklift. Some models utilize a pantograph reach mechanism. This allows the machine to pick skids from pallet rack bays, retracting the fork carriage back to straddle the load. This enables tight right angle turns in narrow aisles. 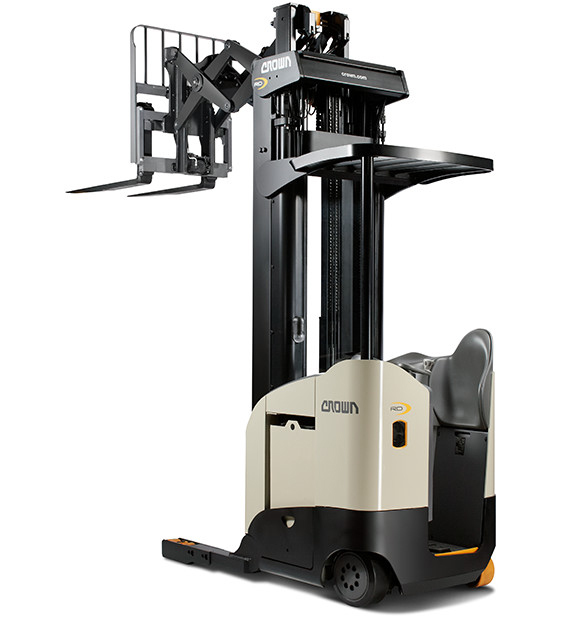 Limited to warehouse applications, the electric narrow aisle reach forklift provides the best space utilization in warehouse storage design.